Mothers + sons - "Room" and "X + Y"
I've just seen a second film in a week in which there is a beautiful relationship between a mother and her son. Last weekend it was "Room", starring the quite wonderful Brie Larsen and Jacob Tremblay as a mother and son in a film which is quite rightly garnering rave reviews and awards buzz. Tonight it was the less high-profile but equally interesting and moving 2014 British movie "X and Y", starring the wonderful British quartet of Sally Hawkins, Rafe Spall, Eddie Marsan and as the lead character, an autistic boy genius, Asa Butterfield ("The Boy With The Striped Pyjamas", "Hugo" and the underrated "Ender's Game"). 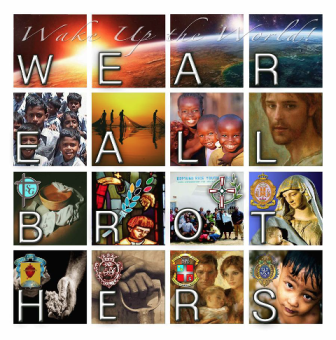 Identity and Mission of the Religious Brother. Here at last is the Vatican document whose publication was announced in December on the Identity and Mission of the Religious Brother. At least once a year, Christians are reminded of Jesus’ prayer for his disciples that “they may be one so that the world may believe” (John 17.21). Christians come together to pray for their unity during the annual Week Of Prayer For Christian Unity (in January). Congregations and parishes of the different Christian denominations all over the world exchange preachers or arrange special ecumenical celebrations and prayer services.